04/15/02 Vehicle description: sport utility vehicles. the multifunction switch could develop an open circuit condition that results in the stop lamps and the rear hazard lamps becoming inoperative. the center high mounted stop lamp and turn signal functions are not affected. The loss of stop lamps and rear hazard lamps could fail to warn a following driver that the vehicle is braking and/or is stopped and could result in a crash. Dealers will replace the hazard switch carrier. owner notification will be conducted in two phases. the first phase began april 15, 2002, with mailings to owners of 2000 and early 2001 vehicles. the second mailing phase will be to remaining 2001 and 2002 vehicles. 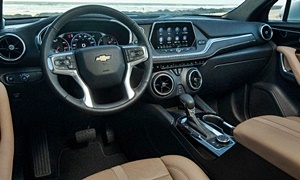 owners who take their vehicles to an authorized dealer on an agreed upon service date and do not receive the free remedy within a reasonable time should contact chevrolet at 1-800-222-1020, gmc at 1-800-462-8782, or oldsmobile at 1-800-442-6537. 06/17/08 Electrical and Air Conditioning General motors is recalling 5,862 my 2000-2002 chevrolet blazer, my 2000-2001 gmc jimmy, and my 2000 oldsmobile bravada sport utility vehicles. the multifunction switch could develop an open circuit condition that results in the stop lamps and the rear hazard lamps becoming inoperative. the center high mounted stop lamp and turn signal functions are not affected. Dealers will replace the hazard switch carrier. 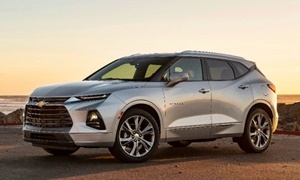 the recall began on june 17, 2008. owners may contact chevrolet at 1-800-630-2438, gmc at 1-866-996-9463, or oldsmobile at 1-800-630-6537, or through their website at http://www.gmownercenter.com . note: this campaign is an expansion of a previous recall (please see 01v364). Gm recall no. 01073.customers may also contact the national highway traffic safety administration's vehicle safety hotline at 1-888-327-4236 (tty 1-800-424-9153), or go to http://www.safercar.gov . 04/15/02 Electrical and Air Conditioning Vehicle description: sport utility vehicles. the multifunction switch could develop an open circuit condition that results in the stop lamps and the rear hazard lamps becoming inoperative. the center high mounted stop lamp and turn signal functions are not affected. 06/04/04 Other Certain pickup trucks and sport utility vehicles fail to comply with the requirements of federal motor vehicle safety standard no. 208, "occupant crash protection." Some of these vehicles include incorrect statements on one of the air bag warning labels. Owners will be provided with correct labels and installation instructions. owner notification began on june 4, 2004. owners should contact chevrolet at 1-800-630-2438 or gmc at 1-866-996-9463. Gm recall no. 04021.customers can also contact the national highway traffic safety administration's auto safety hotline at 1-888-dash-2-dot (1-888-327-4236).